CBD Pure Review and Coupon | Is CBD Pure Oil Worth Buying? One of the first places I found online when searching for CBD oil was CBDPure. It was recommended to me by a friend who guaranteed it worked better than anything else she’s ever tried. As always, I put up my guard when I heard those words and had to test CBD Pure for myself. I don’t know about you, but it’s difficult for me to take someone else’s word (even if it’s a friend) when it comes to my health. So here’s my CBD Pure review. I hope you find it beneficial in deciding what CBD oil is best for you. CBD Pure’s main location is in the United Kingdom, but they also have an office in Vancouver, WA. Their CBD oil is made with certified Organic-standards industrial hemp grown in Colorado and is 100% free of any synthetic or artificial ingredients. They ship to every U.S. state except for Arkansas (AR), Kansas (KS) and Louisiana (LA) and they don’t ship Internationally. CBD Pure oil is derived from industrial hemp and is non-psychoactive so you won’t experience a “high” from it. 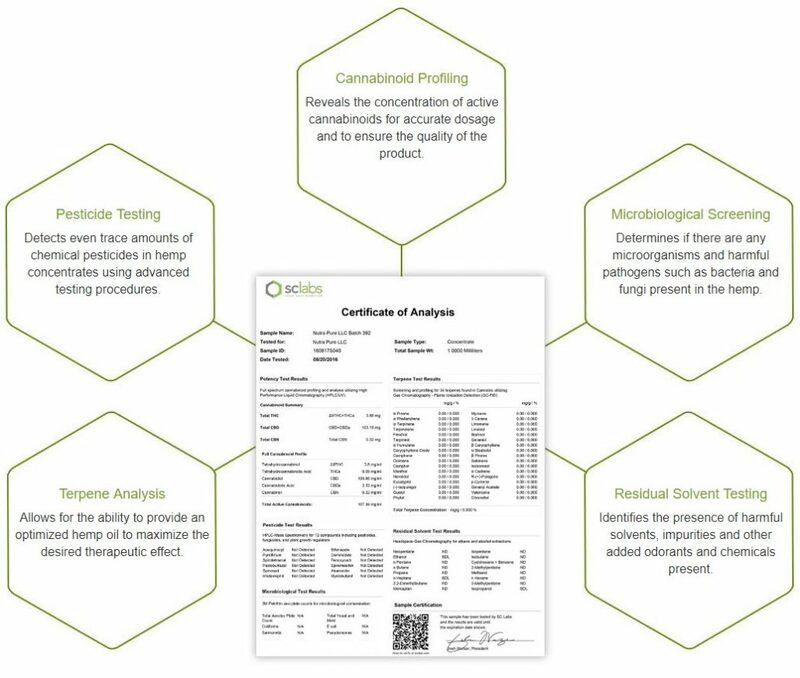 They also state on their website that their CBD is considered to be undetectable in saliva or urine tests and all CBDPure products comply with applicable regulations regarding tetrahydrocannabinol content. Learn more about who has the best cbd oil for best health benefits. 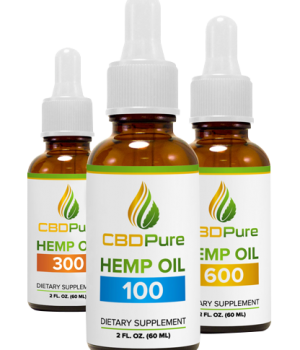 I have several medical conditions that keep me from being the mom and wife I want and need to be and so after using CBDPure’s Hemp oil (600mg) for a few weeks, I found out why my friend recommended them. I started noticing that my level of pain was much less than what it usually was allowing me to do more around the house and especially with my family. CBD Pure doesn’t have very many products, instead they seem to put all their focus on making the ones they have the best available. This is not true with many other CBD oil companies as their main goal is to just make money and create as many varieties and types of CBD products as possible while lacking quality and effectiveness. The CBD Pure Hemp oil comes in 3 different strengths. 100, 300, and 600. CBD Pure Hemp Oil 100 has been developed especially for those who are very much conscious about their health and general wellbeing. CBD Pure Hemp Oil 100 contains 3.3 mg of cannabidiol delivered through natural and organic hemp oil, which has no side effects. It is a daily serving. It has no artificial added so you can enjoy the regular natural hemp flavor. One gram of full-spectrum oil contains 1.6 mg of cannabidiol (CBD). The advised dose per day is ½ dropper and total 60 servings are in a single bottle. CBD Pure Hemp Oil 300 has great medicinal effects for those looking for a great supplement to supercharge their energy and health. Each daily serving of CBD Pure Hemp Oil 300 delivers 10 mg of cannabidiol via a natural and organic hemp oil. ½ dropper per day is the supposed daily serving and the bottle contains total 60 servings which are enough for two months until advised by your physician the other way. It is also available in natural hemp flavor. CBD Pure Hemp Oil 600 is a special treat for those wanting to maximize their wellbeing, without compromising on the quality. Each daily serving of CBD Pure Hemp Oil 600 has got 20 mg of cannabidiol in natural and organic hemp oil. It has also ½ dropper per day dosage and total 60 servings in the bottle. Like above, it does not contain any artificial flavor at all. CBD Pure Softgels 750 ar https://www.cbdpure.com/softgel-750mg.htmle designed to deliver a mega-dose of CBD in a single serving with the convenience of a softgel. Other ingredients are gelatin, vegetable glycerin, and distilled water. Capsules are considered the easiest way to take CBD. They are easy to swallow without much ado. Each serving of CBD Pure Softgels 750 contains 25 mg of cannabidiol. There are 30 softgels present in each bottle. There is no artificial flavor added. All the CBD Pure products are backed by a 90 days Money Back Guarantee. SHOULD YOU BUY CBD PURE PRODUCTS? In my opinion and personal experiences, I find CBD Pure’s products to be very effective. I like the fact that they use a chemical-free CO2 extraction process that uses pressurized carbon dioxide to pull the desired phytochemicals (such as CBD) from a plant. This process is free of any harsh chemical solvents often used to extract CBD oil and is environmentally friendly and non-toxic. It is also considered the most expensive and safest plant extraction method in the world so I know they do things right when making CBD oil. Also, they have a 90 day money back guarantee to ensure you love their products. So really you have nothing to lose to try them. You won’t find many CBD Pure coupon codes as they usually don’t offer them. I did find this one you can use to save 15%.